To make sure you get the best deal we'll show you great prices from all of our drivers, including Zoltan Transport 3, if they're available on the day of your move. Have a question for Zoltan Transport 3? No problem, send them a message and they'll email you back as soon as possible. If you have a more general question you might find it answered in the FAQ, or you always contact one of our brilliant customer service team. * Zoltan Transport 3 won't be able to see your email address. Driver and assistant were careful, helpful and polite. Excuse me???? What movie was he watching ??? Customer was videoing so please ask to send the video in so we can see the 3rd men. It is a big joke as far as I am concerned. Arrived on time and worked hard consistently. Very happy with the service. Very efficient and hardworking bunch of guys, can't fault them, arrived 15min early and did more than I could ask for. No blankets were wrapped round my furniture. Scuffs were left on my furniture. I booked for 6 hours but they only took four because they clearly wanted to get home. We felt rushed, stressed and were not happy with how our belongings were being thrown around. Very little care was given to our possessions. Also when you book 2 people you expect 2 men to turn up. Not one of them a women. 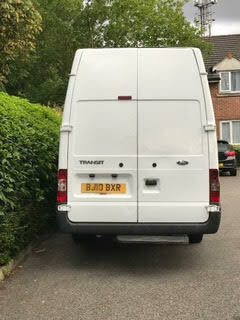 I was disappointed that they drivers literally through our stuff out of the van and sped off at 12.50pm when they were paid until 3pm. I will not be using this service again as I don’t trust they will respect my belongings or adhere to the time that I have paid for. Very helpful and nice. Ran 10 mins over which he didn't mind at all. Would definitely use again. The drivers were great and responded to every ask we presented to them. They were 30 mins late but they had to drive from London to York (we weren’t aware of this factor at booking stage). The only build would be that they could be a little ‘cheerier’... however I imagine this is due to their boss asking them to get up at 5am and do a full days work in York after having only got to bed at midnight after a full days work the day before... overall very happy with our booking! Both the driver and other man were polite and efficient, unfortunately they turned up 50 minutes late and only let us know 10 minutes before we got there, so we were hanging around at the storage unit instead of being able to get on with stuff at home. When the van arrived they opened it to discover a sofa inside! So less room for our stuff. Then it took them nearly 5 hours to do a 2.5-3 hour journey. So we were made to pay an extra £120. Not happy with the service from ‘Zoltan’ but his drivers made up for it. (But they have also caused damage to the house and some furniture). Yes, we turned up 50 mins late, but the customer was informed. 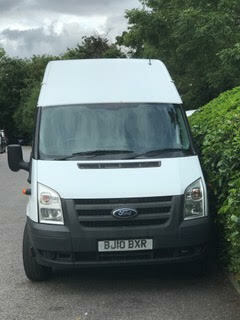 There was a tiny armchair on the van which did not cause any problem as all of the customer's goods fit into the van. Journey: They left at 6:17 giving an extra 45 minutes for traffic to get to Bristol, but this was still not enough time because of traffic. They left the customer's second pick up at 13:10 and stopped at the petrol station at 14.55 for 20 minutes to put fuel in and use the toilet as they had not had the opportunity to do this since 6am in the morning. After that, they carried on straight to the destination and they arrived at 17:09. Please see attachment for full breakdown of their journey on that day which proves everything. The guys loaded all the items into the house and when they were taking the sofa to the living room there was a lamp hanging from the ceiling before the living room door which was a bit loose. The customer said just take it off so the guys could take the sofa in. So they did take it off and 1 or 2 screws came off because it was loose. Nothing else happened or got damaged. He was a really good man and he carried almost everything. Strongly recommend. Excellent service. The driver turned up a few minutes early, I took him on a tour around the house and garage to show all the items that needed packed up, he made a detailed plan of what would go into the van in which order and we got started. We had two of us helping the driver and it took an hour to load a (full to the brim) Luton van and I must commend the driver on how he filled up every nook and cranny and how he made sure all the fragile items were as well protected as they can be. Upon arrival at the property it took 45 minutes to unload it all. Everything was taken to the requested room without any fuss. All in all a very impressive service considering that it is half the price of a "proper" removal company. My driver was great! I would hire him again anytime! Excellent service by a very efficient and hard working man. Thanks again! Really professional people. They both were really helpful and did a perfect job. Very pleased with the service. I would definitely use them if I move again. Unfortunately very disappointed with this service. Booked for 11:00, got a call two days before saying a driver was sick and asked to move the slot to 14:30 - which was acceptable. On the day got a call to say that the driver could come early at 12:30, so drove from Dagenham to Harlow to meet mover. When I arrived they called again saying driver was stuck on a job and would be there anywhere from 14:30 - 16:30. He eventually arrived at 16:35. They moved the items as requested and were polite and well mannered. However at the end of the move they claimed they had run over the two hours booked - which they had not. So asked them to double check and eventually they backed down and acknowledged they had not run over time. Not happy that I then had to pay in full for this service. Driver 15 mins late (due to traffic) but it was very easy to get hold of someone to find out where he was. He also apologised for being late, which is the only thing that matters really. Really happy with the service. Peter, the driver, was prompt and quick and Zoltan called to check that all had gone well - excellent customer service, very pleased, would use again and would be happy to recommend. Nice guy, very helpful. Just a shame he was 40 minutes late. Highly recommended. Really nice lad. Excellent pre- delivery service, really good and helpful driver. My bed was packed securely and unloaded and brought inside for me. Thank you. Wonderful! Excellent service!! Thanks for the great service, arrived on time as agreed. Nice clean van and very helpful driver. My only complaint was i booked the van for four hours and was not aware of extra mileage charges and trip charges as we needed 2 trips. I was told it was £5 per trip extra plus £1 per mile (12 miles in total extra) and 50 minutes over the four hours (£50 per hour) so approx £42 extra so overall an extra £64.00 to the charge advised online. I have no complaints about the Zoltan and Peter they were polite efficient and did not hang around. He is very helpful and very polite person.......I thought moving home would be difficult as it was my first time but because of his help it was much more easier than i thought. I would definetly recommend him. Zoltan and his driver are very courteous and the driver/helper was great and experienced at moving. We had a great chat along the way and I will be using their service when I next move to a new flat. Great price and service. Highly recommended. Csaba very polite and very helpful! nice one ! thank you very much guys! would defo recomend! Just want to say thank you! Move went really smoothly. Would 100% recommend these guys. 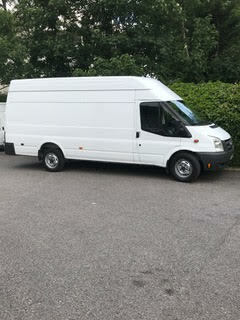 The company sent me larger van and because I used more than the half of it they charged me more. They didn't tell me about that in advance. As you booked a large van move, but filled the equivalent of a luton van capacity, the driver was correct to charge you the luton van rate. We are sorry for any confusion regarding this, had you entered a description of what you were moving on the booking, we would have been able to advise you regarding this prior to the move. Attilla was very helpful and professional. Thank you too Zoltan. The driver was more than helpful. We got it all done on time. Very friendly one off the best drivers iv booked. Will be using him again and recommend to anyone for a smooth home move. Sabi arrived half an hour late but he called to let me know. He was extremely friendly and professional and made the move a lot more smooth. I would book again. He was late but he called us and told us, but it was a good 45 minutes because he was at another job. Lovely man though and very helpful and kind. Apart From being late, of which I was informed, I was very impressed with the service I received. I would use/recommend these guys. Very friendly and great service. He was very speedy! I have never used this type of service before so was a bit apprehensive. However, I needn't have worried. Our driver was great, he couldn't have been more polite, friendly and helpful. He was 20 minutes late but called to let me know and it wasn't a problem. Everything was loaded and unloaded really efficiently at both ends. He'd also brought a trolley which was really helpful. Overall I would highly recommend this service, it made my moving process so much less stressful. Thank you! Was an hour and a half late! Otherwise fine. We are very sorry that you suffered this delay with your booking. We do have a lateness refund policy which you will find attached to your email booking confirmation and for a delay of 1 1/2 hrs you are certainly due a partial refund. Great service! Worked so hard!! David was hardworking, strong and efficient. He was early and got everything done on time. Eventhough there was lots to move he was positive and got down to it straight away. Respectful of our belongings and filled up the van in a concise, calculated way. We offloaded really quickly and then could settle into our new home. Would recommend to anyone. The driver was excellent. He arrived early and was always willing to help. He brought all the necessities and made sure everything was safely secured. I would highly recommend this service. My driver was an amazing guy, he was extremely helpful, friendly and polite with great care of my items. I left laptop in his van and he brought it back to me. The driver was great & helpful once there, but was an hour late for the booking. Will definitely use their services again! The driver was so friendly and helpful! Very happy with the service! It would not be better and I can use this service in the future! Thanks! Fantastic guy - would highly recommend! He was great! 20 minutes early. Helped move bags when didn't have to. Great experience!